"I usually always like Priyanka in print but here the result is TERRIBLE." "She looks beautiful but the styling is atrocious." "I think that Kylie's cover is the best!" "Awful styling and embarrassing pose." "Too much Photoshop, she doesn't need all that smoothing!" 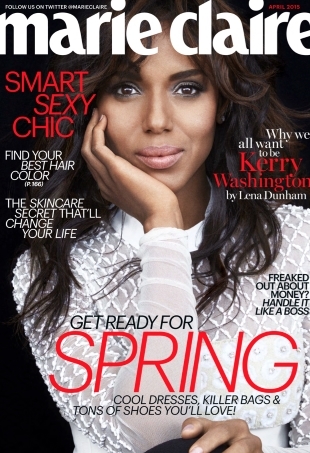 With such an incredibly beautiful cover subject, why is it that magazines can't seem to get it right with Kerry Washington?